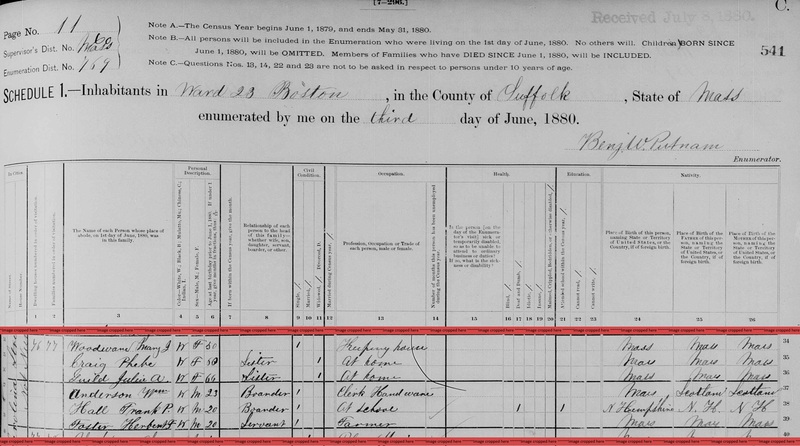 John Woodward was born perhaps about 1817. Find A Grave Memorial# 33417672. New Hampshire. 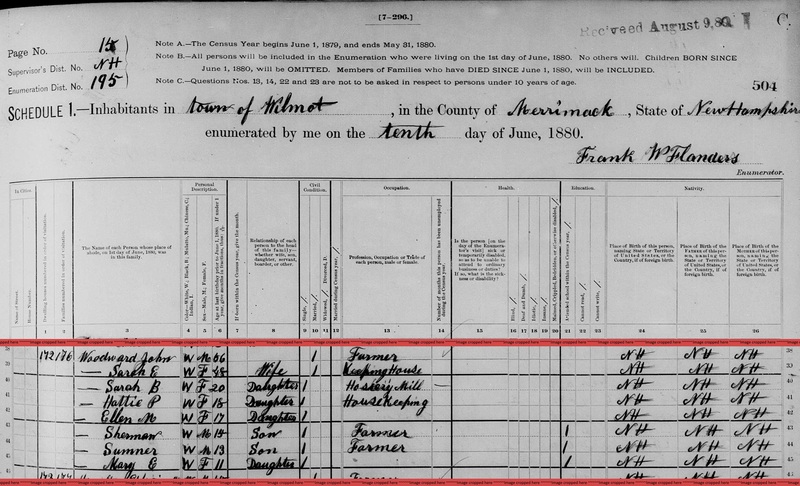 Registrar of Vital Statistics, Index to deaths, early to 1900, Salt Lake City: Filmed by the Genealogical Society of Utah, (1974) Microfilm #1001068 of the Family History Library, Salt Lake City, Utah, Microfilm #1001068 of the Family History Library, Salt Lake City, Utah: Index to deaths - Colburn to Conway , certified by Seth Goodhue, town clerk of Wilmot, N.H.
"United States Public Records, 1970-2009," database, FamilySearch (https://familysearch.org/ark:/61903/1:1:QJ7N-Z5Z4 : 23 May 2014), John A Woodward, Residence, Miami Springs, Florida, United States; a third party aggregator of publicly available information. Brookline (Mass. 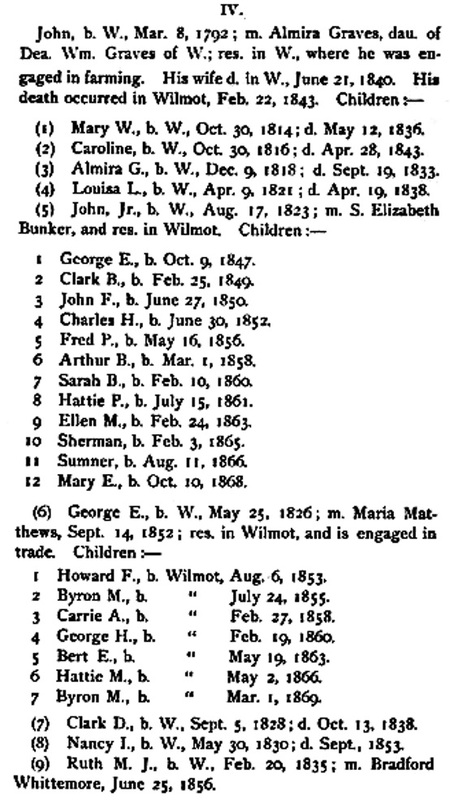 ), Vital Records of Brookline, Massachusetts, to the end of the year 1849., Salem, MA: The Essex Institute, (1929) , p. 241. 1790 United States. Census Office. 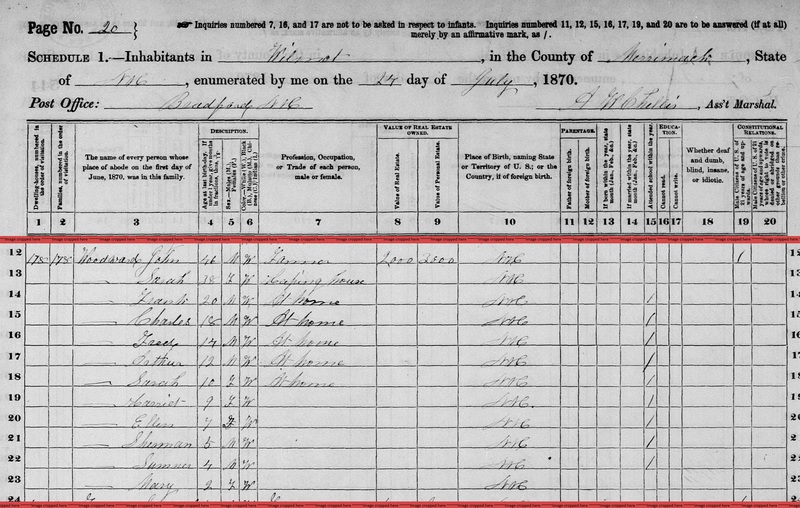 1st census, Census schedules, 1790, Washington [District of Columbia]: The National Archives, (1969) , p. 150. 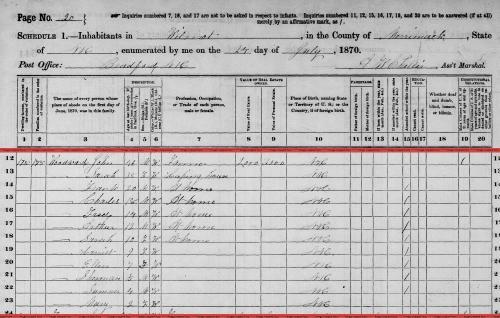 He was the son of Abraham Woodward and Sarah Gore. 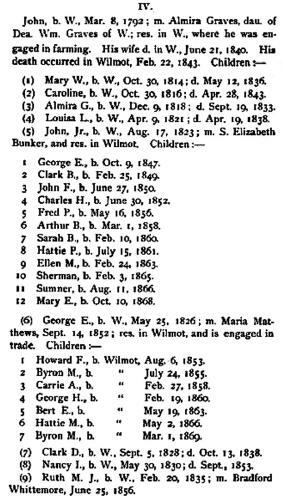 "Massachusetts Deaths and Burials, 1795-1910," database, FamilySearch (https://familysearch.org/ark:/61903/1:1:FHS3-SY3 : accessed 13 April 2016), Julia A Woodward Guild, 06 Jan 1889; citing , reference v 1-500 cn 127; FHL microfilm 593,738. Kathryn Woodward is online at https://www.facebook.com/kathy.heikel. 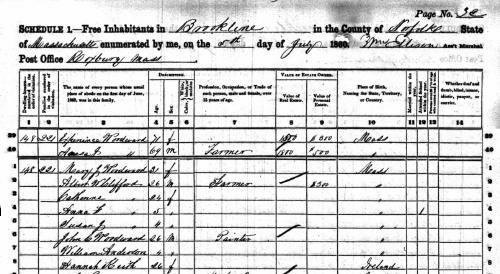 "United States Census, 1940," database with images, FamilySearch (https://familysearch.org/ark:/61903/1:1:VT9Z-38Y : accessed 26 August 2016), Roy Woodward, Ward 3, Portsmouth, Portsmouth City, Rockingham, New Hampshire, United States; citing enumeration district (ED) 8-58, sheet 61A, family 308, Sixteenth Census of the United States, 1940, NARA digital publication T627. 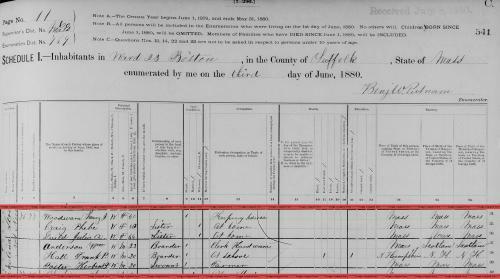 Records of the Bureau of the Census, 1790 - 2007, RG 29. Washington, D.C.: National Archives and Records Administration, 2012, roll 2296. Laura Woodward is online at https://www.facebook.com/laura.slichter. 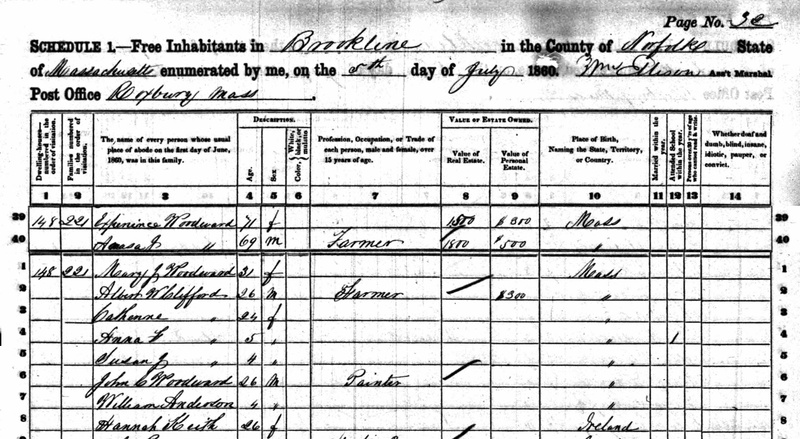 "United States Public Records, 1970-2009," database, FamilySearch (https://familysearch.org/ark:/61903/1:1:QJ7N-Z5ZC : 23 May 2014), Laura Woodward, Residence, Miami Springs, Florida, United States; a third party aggregator of publicly available information. 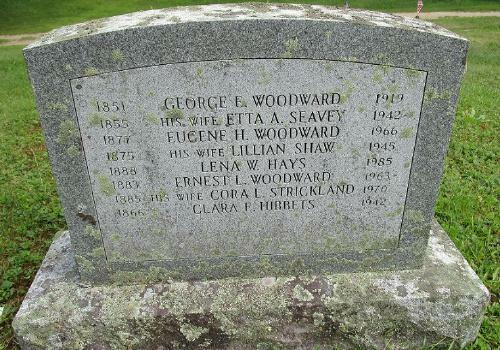 Lena C. Woodward was born on May 22, 1888 in Washington, Sullivan County, New Hampshire. 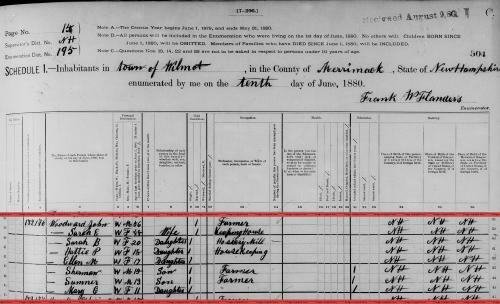 "United States Social Security Death Index," database, FamilySearch (https://familysearch.org/ark:/61903/1:1:JKD6-9MZ : 19 May 2014), Lena Hays, Dec 1985; citing U.S. Social Security Administration, Death Master File, database (Alexandria, Virginia: National Technical Information Service, ongoing). "New Hampshire Birth Records, Early to 1900," database with images, FamilySearch (https://familysearch.org/ark:/61903/1:1:FL5S-KXH : 12 December 2014), Woodward, 24 Feb 1896; citing Grafton, Grafton, New Hampshire, United States, Bureau of Vital Records and Health Statistics, Concord; FHL microfilm 1,001,056.